For the past two years, a team of the tech industry's most advanced AI developers and code writers has been working on a project named Viv. The team, comprised of only 10 members, includes some of the original developers behind the now-iconic Apple Siri, one of the creators of IBM's Watson supercomputer, and a software engineering Ph.D. from the University of Texas at Dallas. Dag Kittlaus, Adam Cheyer, and Chris Brigham were part of the group that created Siri, then sold the project to Steve Jobs for $200 million in 2010. Since then, Siri has been an integral component in every iPhone, and will continue in future models. David Gondek worked with IBM and led the Watson supercomputer strategy team, specializing in "developing machine learning algorithms for ranking and estimating confidence in possible answers." According to Kittlaus, Viv will be the personal mobile assistant that can predict what you need before you even ask. The project essentially picks up where development of Siri left off when Steve Jobs convinced the team to sell Siri to Apple. Apparently, before the sale, Siri was actually more capable than it is today, considering the limitations and restrictions implemented by Apple. 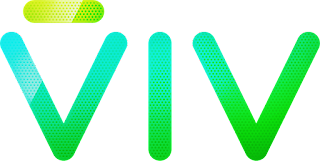 However, Viv Labs was able to create an AI that is exactly what was originally envisioned by the Siri creators -- a digital assistant that can anticipate your needs and handle any request by utilizing an almost unlimited network of online resources. Viv Labs declined to comment on the progress and development of Viv, but the company's website states, "Viv is taught by the world, knows more than it is taught, and learns every day." The company's goal is to create a universal digital assistant that's capable of handling almost any spoken request by connecting with different services. "Viv radically simplifies the world by providing an intelligent interface to everything." Unlike its competitors -- Siri, Google Now, and Cortana -- Viv isn't limited to only a small network of resources and services provided by a single vendor, nor by an inability to understand users' requests. Instead, Viv has the ability to learn and expand, and to write its own code when necessary. Where other digital assistants can only perform a set number of predetermined tasks that were prepared by developers, Viv marks the introduction of true artificial intelligence with its ability to break down and understand complex instructions from spoken words, then formulate responses using a near-infinite pool of information providers. Those same limitations plague Siri, Cortana, and every other digital assistant program available today. Viv, however, will transcend the confines of current speech-recognition limitations with its ability to break down and comprehend multi-part sentences and complex instructions, "automatically generating a quick, efficient program to link third-party sources of information together." According to the Wired article, Viv Labs only revealed one funding source -- Solina Chau, founder of the Horizons Ventures fund, partner to Li Ka-shing (the wealthiest man in Asia and the 20th richest man in the world), and the second-richest woman in Hong Kong. Apparently, when the team contacted Chau to request $10 million in capital, she agreed without hesitation. Horizons Ventures has funded 57 start-ups, including some high-profile tech projects and companies over the past several years including Facebook (FB), Siri, Skype, Spotify, and Waze. Li, through his philanthropic Li Ka Shing Foundation, has supported Horizons Ventures' endeavors, with particular interest in technology-based ideas. According to Chau, "He loves disruptive innovations and sees it as kind of predictive lenses into the future." 86-year-old Li told Forbes in a 2012 interview, "A person investing in technology will feel younger." Since Viv's creators desire ubiquity, they have stated the project will not be sold like Siri was in 2010. According to Wired, Kittlaus explained, "What we're really after is ubiquity. We want this to be everywhere." Viv Labs' goal is to see its AI creation in every Internet-connected device, which means not selling out to one of the industry's behemoths. Instead, the team plans to license Viv's delivery network, which would further expand the assistant's range of available resources. By taking a haircut of every transaction originated by Viv, the company would have the ability to negotiate price points with retailers and rely on volume for steady revenue, which could easily be in the billions of dollars. Despite being a tiny, relatively unknown tech company that's virtually hidden in San Jose's corporate district, Viv Labs has been working on a revolutionary new artificial intelligence program that could, quite literally, change the future of mobile technology. Collaborating with some of the industry's brightest minds, Viv Labs is nearing completion of a digital virtual assistant, the likes of which has never been seen before. If you were impressed by Siri and Google Now, then Viv will be sure to blow your mind. When it's finally released, Viv will send ripples across the tech industry, changing the future landscape of how we interact with not just our phones, but the countless millions of other devices being developed for the Internet of Things.